Material type: Book; Format: print ; Literary form: not fiction Publisher: London : Constable, 2010Availability: Items available for loan: AUIS Main (1). Location(s): PN6175 .C76. A good scent from a strange mountain : stories / by Robert Olen Butler. Edition: 1st ed.Material type: Book; Format: print ; Literary form: fiction Publisher: New York : H. Holt, 1992Availability: Items available for loan: AUIS Main (1). Location(s): PS3552.U8278 G66 1992. A harlot high and low (Splendeurs et misères des courtisanes); translated and with an introduction by Rayner Heppenstall. by Balzac, Honoré de; Heppenstall, Rayner. Material type: Book; Format: print ; Literary form: fiction Publisher: Harmondsworth, Penguin, 1970Online Access: Contributor biographical information Availability: Items available for loan: AUIS Main (1). Location(s): PQ2173 .B22 1970. A hundred white daffodils : essays, the Akhmatova translations, newspaper columns, notes, interviews, and one poem / Jane Kenyon. by Kenyon, Jane; Akhmatova, Anna Andreevna. Material type: Book; Format: print ; Literary form: not fiction Publisher: Saint Paul, Minn. : Graywolf Press, c1999Online Access: Contributor biographical information | Publisher description Availability: Items available for loan: AUIS Main (1). Location(s): PS3561.E554 H86 1999. A man for all seasons : a play in two acts / by Robert Bolt. Edition: 1st Vintage international ed.Material type: Book; Format: print ; Literary form: not fiction Publisher: New York : Vintage Books, 1990Online Access: Publisher description Availability: Items available for loan: AUIS Main (1). Location(s): PR6052.O39 M3 1990. A man in full : a novel / Tom Wolfe. Edition: 1st trade ed.Material type: Book; Format: print ; Literary form: fiction Publisher: New York : Farrar, Straus and Giroux, 1998Online Access: Contributor biographical information | Publisher description Availability: Items available for loan: AUIS Main (1). Location(s): PS3573.O526 M26 1998. Material type: Book; Format: print ; Literary form: not fiction Publisher: Evanston, Ill. : McDougal Littell, c.1997Availability: Items available for loan: AUIS Main (3). Location(s): PR2827 .A1 1997. A most wanted man / John le Carr�e. Material type: Book; Format: print ; Literary form: novel Publisher: London : Hodder & Stoughton, 2008Availability: Items available for loan: AUIS Main (1). Location(s): PR6062.E33 M67 2008. A moveable feast / Ernest Hemingway. Edition: 1st Scribner classic/Collier ed.Material type: Book; Format: print ; Nature of contents: ; Literary form: not fiction Publisher: New York : Collier Books, 1987, c1964Availability: Items available for loan: AUIS Main (1). Location(s): PS3515.E37 Z475 1987. Material type: Book; Format: print ; Literary form: not fiction Publisher: Sulaimany Zanyar bookshop 2017Availability: Items available for loan: AUIS Main (1). Location(s): PZ9.F69. A portrait of the artist as a young man / James Joyce ; introduction and notes by Dr. Jacqueline Belanger. by Joyce, James; Gabler, Hans Walter; Hettche, Walter. Material type: Book; Format: print ; Literary form: fiction Publisher: Hertfordshire, Eng : Wordsworth Classics, 1992Online Access: Online version on Project Gutenberg Availability: Items available for loan: AUIS Main (1). Location(s): PR6019.O9 P63 1993c. by Woolf, Virginia; Gubar, Susan. Edition: 1st Harvest ed. / annotated and with an introduction by Susan Gubar.Material type: Book; Format: print ; Nature of contents: ; Literary form: not fiction Publisher: Orlando, Fla. : Harcourt, c2005Online Access: Online version freely made available by the University of Adelaide. | Online version freely available on Project Gutenberg (Australia) | Table of contents only | Contributor biographical information | Publisher description | Sample text Availability: Items available for loan: AUIS Main (1). Location(s): PR6045.O72 Z474 2005. A separate peace / John Knowles. Material type: Book; Format: print ; Literary form: fiction Publisher: New York : Bantam Books, 1959Availability: Items available for loan: AUIS Main (1). Location(s): PS3561.N68 .S4 1975. A silent life / Ryhaan Shah. Material type: Book; Format: print ; Literary form: fiction Publisher: Leeds, England : Peepal Tree Press, 2005Availability: Items available for loan: AUIS Main (1). Location(s): PR9320.9.S485 S55 2005. A song of ice and fire / A Game of Thrones / A Clash of Kings / A Storm of Swords / A Feast for Crows / A Dance With Dragons George R.R. Martin. by Martin, George R. R; Martin, George R. R; Martin, George R. R; Martin, George R. R; Martin, George R. R; Martin, George R. R.
Material type: Book; Format: print ; Literary form: fiction Publisher: Random House 2013; Publisher: New York : Bantam Books, Availability: Items available for loan: AUIS Main (5). Location(s): PS3563.A7239 S7 2013. A storm of swords : book three of A song of ice and fire / George R.R. Martin. Edition: 2011 Bantam Books mass market ed.Material type: Book; Format: print ; Literary form: fiction Publisher: New York : Bantam Books, 2011, c2000Availability: Items available for loan: AUIS Main (1). Location(s): PS3563.A7239 S7 2011. Material type: Book; Format: print ; Literary form: fiction Publisher: New York : Bantam Books, 2000Online Access: Sample text | Contributor biographical information | Publisher description | Contributor biographical information | Sample text | Publisher description Availability: Items available for loan: AUIS Main (1). Location(s): PS3563.A7239 S7 2000. Material type: Book; Format: print ; Literary form: not fiction Publisher: London : Penguin, 2000Availability: Items available for loan: AUIS Main (1). Location(s): PS3545 .I5365 A19. A summons to Memphis / Peter Taylor. Edition: 1st ed.Material type: Book; Format: print ; Literary form: fiction Publisher: New York : Knopf : Distributed by Random House, 1986Availability: Items available for loan: AUIS Main (1). Location(s): PS3539.A9633 S8 1986. Material type: Book; Format: print ; Literary form: not fiction Publisher: London : Collins Classics, 2010Online Access: Online version on the Electronic Text Center, University of Virginia Library Availability: Items available for loan: AUIS Main (1). Location(s): PR4571.C48. A thousand acres / Jane Smiley. Edition: 1st ed.Material type: Book; Format: print ; Literary form: fiction Publisher: New York : Knopf : Distributed by Random House, 1991Online Access: Sample text | Contributor biographical information | Publisher description Availability: Items available for loan: AUIS Main (1). Location(s): PS3569.M39 T47 1991. Material type: Book; Format: print ; Literary form: fiction Publisher: New York : Riverhead Books, 2007Availability: Items available for loan: AUIS Main (1). Location(s): PS3608.O832 T56 2007.
by Hume, David; Mossner, Ernest Campbell. Material type: Book; Format: print ; Literary form: not fiction Publisher: Harmondsworth, Middlesex, England ; New York : Penguin Books, 1984, �1969Availability: Items available for loan: AUIS Main (1). Location(s): B1485 .D1 1984. A visit from the Goon Squad / Jennifer Egan. Edition: 1st ed.Material type: Book; Format: print ; Literary form: fiction Publisher: New York : Alfred A. Knopf, 2010Availability: Items available for loan: AUIS Main (1). Location(s): PS3555.G292 V57 2010. Material type: Book; Format: print ; Literary form: fiction ; Audience: Juvenile; Publisher: New York, NY : Yearling/Dell, c1973Availability: Items available for loan: AUIS Main (1). Location(s): PS3523 .E55 .A95 1973. Edition: 1st Square Fish ed.Material type: Book; Format: print ; Literary form: not fiction Publisher: New York : Square Fish, c2007Online Access: Contributor biographical information | Publisher description | Sample text Availability: Items available for loan: AUIS Main (5). Location(s): PS3523 .E55 2007. Abaddon's gate / James S.A. Corey. Material type: Book; Format: print ; Literary form: novel Publisher: London : Orbit, 2013.Availability: Items available for loan: AUIS Main (1). Location(s): PS3568.O294. Above the river : the complete poems / James Wright ; with an introduction by Donald Hall. Edition: A Wesleyan University Press ed.Material type: Book; Format: print ; Literary form: not fiction Publisher: [New York] : [Middletown, Conn.] : Farrar, Straus and Giroux ; University Press of New England, c1990Availability: Items available for loan: AUIS Main (1). Location(s): PS3573.R5358 A63 1990. Acrobats and Line : two plays / by Israel Horovitz. by Horovitz, Israel; Horovitz, Israel. Material type: Book; Format: print ; Literary form: not fiction Publisher: New York, NY : Dramatists Play Service, Inc., ©1998Availability: Items available for loan: AUIS Main (1). Location(s): PS3558.O69 A28 1998. Ada, or, Ardor, a family chronicle / Vladimir Nabokov. Edition: 1st Vintage international ed.Material type: Book; Format: print ; Literary form: fiction Publisher: New York : Vintage Books, 1990, c1969Online Access: Contributor biographical information | Publisher description Availability: Items available for loan: AUIS Main (1). Location(s): PS3527.A15 A65 1990. Adultery : a novel / Paulo Coelho ; translated from the Portuguese by Margaret Jull Costa and Zoë Perry. by Coelho, Paulo; Costa, Margaret Jull; Perry, Zoë. Edition: First United States edition.Material type: Book; Format: print regular print ; Literary form: fiction Availability: Items available for loan: AUIS Main (1). Location(s): PQ9698.13.O3546 A3813 2014. Adventures of Huckleberry Finn (Tom Sawyer's companion) / by Mark Twain ; edited, with an introduction by Bernard DeVoto ; illustrated by Thomas Hart Benton. Material type: Book; Format: print ; Literary form: fiction Publisher: New York : Limited Editions Club, 1942Availability: Items available for loan: AUIS Main (1). Location(s): PS1305 .A1 1942. Advertisements for myself / Norman Mailer. Edition: 1st Harvard University Press paperback ed.Material type: Book; Format: print ; Literary form: not fiction Publisher: Cambridge, Mass. : Harvard University Press, 1992Availability: Items available for loan: AUIS Main (3). Location(s): PS3525.A4152 A65 1992. Material type: Book; Format: print ; Literary form: not fiction Publisher: [Chicago] University of Chicago Press [1953-56]Online Access: View an online version of this work Availability: Items available for loan: AUIS Main (2). Location(s): PA3827 .A47. Material type: Book; Format: print ; Literary form: not fiction ; Audience: Primary; Publisher: New York : SeaStar Books, 2000Online Access: Publisher description Availability: Items available for loan: AUIS Main (1). Location(s): PZ8.2 .A254 2000.
al-Malik Līr = King Lear / taʼlīf Wilyam Shiksbīr ; tarjamat Abdul-Razzk Mushin AL-Kufaji. by Shakespeare, William; al-Khafājī, ʻAbd al-Razzāq Muḥsin. Material type: Book; Format: print ; Literary form: not fiction Publisher: Bayrūt : Bayrūt : Dār al-Biḥār ; distributed by Dār wa-Maktabat al-Hilāl, 2007Other title: Malik Lir.Availability: Items available for loan: AUIS Main (1). Location(s): PR2819.A2. Aleph / Paulo Coelho ; translated from the Portuguese by Margaret Jull Costa. by Coelho, Paulo; Costa, Margaret Jull. Edition: 1st American ed.Material type: Book; Format: print ; Literary form: fiction Publisher: New York : Alfred A. Knopf, 2011Availability: Items available for loan: AUIS Main (1). Location(s): PR9706.O3546 A4413 2011. All quiet on the western front / Erich Maria Remarque ; translated from the German by A. W. Wheen. by Remarque, Erich Maria; Wheen, A. W. (Arthur Wesley). Edition: 1st Ballantine Books trade ed.Material type: Book; Format: print ; Literary form: fiction Publisher: New York : Fawcett Columbine, 1996Online Access: Publisher description Availability: Items available for loan: AUIS Main (1). Location(s): PT2635.E68 I625 1996b. Material type: Book; Format: print ; Literary form: not fiction Publisher: Toronto : ECW Press, 2009Online Access: Online version on Ebrary | Publisher's description Availability: Items available for loan: AUIS Main (1). Location(s): PR9199.3.W584. American oil diplomacy in the Persian Gulf and the Caspian Sea / Gawdat Bahgat. Material type: Book; Format: print ; Literary form: not fiction Publisher: Gainesville : University Press of Florida, �2003Availability: Items available for loan: AUIS Main (1). Location(s): HD9576.P52 B34 2003. American pastoral / Philip Roth. Material type: Book; Format: print ; Literary form: fiction Publisher: Boston : Houghton Mifflin, 1997Online Access: Publisher description | Contributor biographical information Availability: Items available for loan: AUIS Main (1). Location(s): PS3568.O855 A77 1997. Among women : poems / by Jason Shinder. Material type: Book; Format: print ; Literary form: not fiction Publisher: St. Paul, Minn. : Graywolf Press, c2001Online Access: Contributor biographical information | Publisher description Availability: Items available for loan: AUIS Main (1). Location(s): PS3569.H493 A83 2001. An agent in place / Robert Littell. Material type: Book; Format: print ; Literary form: fiction Publisher: New York, N.Y. : Penguin Books, 2005, �1991Online Access: Contributor biographical information | Publisher description Availability: Items available for loan: AUIS Main (1). Location(s): PS3562.I7827 A7 2005. Edition: Bantam books Trade paperbacks ed.Material type: Book; Format: print ; Literary form: fiction Publisher: New York : Bantam Books Trade Paperbacks, 2010Availability: Items available for loan: AUIS Main (1). Location(s): PS3557.A22 E26 2010. An instance of the fingerpost / Iain Pears. Material type: Book; Format: print ; Literary form: fiction Publisher: New York : Riverhead Books, 1998Availability: Items available for loan: AUIS Main (1). Location(s): PR6066.E167 I57 1998. Material type: Book; Format: print ; Literary form: not fiction Publisher: Cambridge, Mass. :| Belknap Press of Harvard University Press 2005Availability: Items available for loan: AUIS Main (1). Location(s): PS3619.P548 .I57 2005. An unfinished season / Ward Just. Material type: Book; Format: print ; Literary form: fiction Publisher: Boston ; New York : Houghton Mifflin, 2004Online Access: Table of contents only | Publisher description | Sample text | Contributor biographical information Availability: Items available for loan: AUIS Main (1). Location(s): PS3560 .U75 U74. Material type: Book; Format: print ; Literary form: fiction Availability: Items available for loan: AUIS Main (1). Location(s): PS3608.O832 A53 2013. Animal farm : a fairy story / by George Orwell ; preface by Russell Baker ; introduction by C.M. Woodhouse. 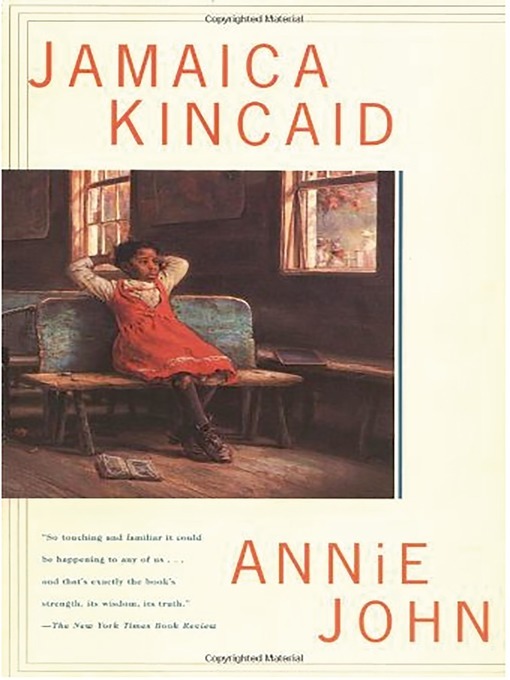 Annie John / Jamaica Kincaid. Antony and Cleopatra / by William Shakespeare. Edition: Washington Square Press new Folger ed.Material type: Book; Format: print ; Literary form: fiction Publisher: New York : Washington Square Press, c1999Other title: Tragedy of Antony and Cleopatra.Availability: Items available for loan: AUIS Main (1). Location(s): PR2802.A2 M69 1999. Antony and Cleopatra. Edited by Maynard Mack. by Shakespeare, William; Mack, Maynard. Edition: [Rev. ed. ]Material type: Book; Format: print ; Literary form: not fiction Publisher: Baltimore, Penguin Books Availability: Items available for loan: AUIS Main (1). Location(s): PR2802.A2 M26 1970. Applied petroleum reservoir engineering / B.C. Craft and M.F. Hawkins. by Craft, B. C. (Benjamin Cole); Hawkins, Murray F. (Murray Free); Terry, Ronald E.
Edition: 2nd ed. / rev. by Ronald E. Terry.Material type: Book; Format: print ; Literary form: not fiction Publisher: Englewood Cliffs, N.J. : Prentice Hall, �1991Online Access: Table of contents Availability: Items available for loan: AUIS Main (1). Location(s): TN871 .C67 1990. Artificial intelligence : a modern approach / Stuart J. Russell and Peter Norvig ; contributing writers, Ernest Davis ... [et al.]. by Russell, Stuart J. (Stuart Jonathan); Norvig, Peter; Davis, Ernest. Edition: 3rd ed.Material type: Book; Format: print ; Literary form: not fiction Publisher: Upper Saddle River : Prentice Hall, c2010Availability: Items available for loan: AUIS Main (1). Location(s): Q335 .R86 2010. 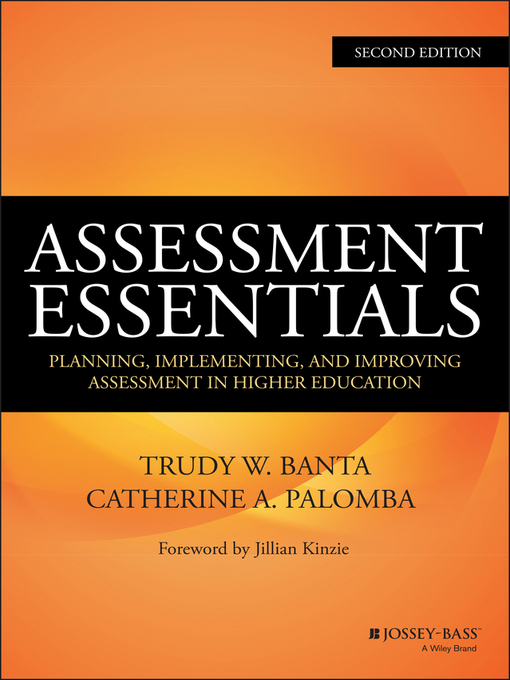 Assessment essentials : planning, implementing, and improving assessment in higher education / Trudy W. Banta, Catherine A. Palomba. by Banta, Trudy W; Palomba, Catherine A. Edition: Second Edition.Material type: Book; Format: available online ; Literary form: not fiction Publisher: San Francisco : Jossey-Bass & Pfeiffer Imprints, Online Access: ebrary | EBSCOhost | OverDrive | Excerpt | Image | Ebook Library | Click here to access online Availability: Items available for loan: AUIS Main (1). Location(s): LB2366.2. Baba Yaga laid an egg / Dubravka Ugre�si�c ; translated from the Croatian by Ellen Elias-Burs�ac, Celia Hawkesworth, and Mark Thompson. by Ugre�si�c, Dubravka; Elias-Bursa�c, Ellen; Hawkesworth, Celia; Thompson, Mark. Material type: Book; Format: print ; Literary form: fiction Publisher: Edinburgh [Scotland] ; New York : Canongate, 2009Availability: Items available for loan: AUIS Main (1). Location(s): PG1619.31.G7 B3313 2009. 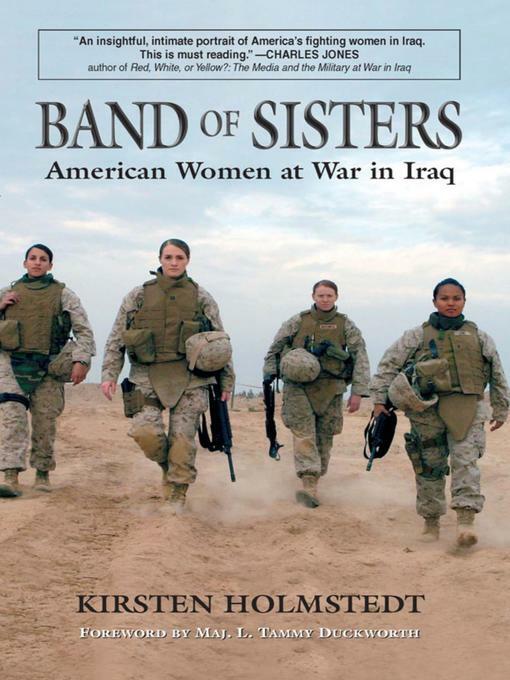 Band of sisters [electronic resource] :American women at war in Iraq / Kirsten Holmstedt ; foreword by L. Tammy Duckworth. Material type: Book; Format: available online ; Nature of contents: ; Literary form: not fiction Publisher: Mechanicsburg, PA : Stackpole Books, 2008, �2007Online Access: EBSCOhost | HathiTrust Digital Library, Limited view (search only) | MyiLibrary | OverDrive | Excerpt | Image | Table of contents | MyiLibrary, Table of contents Availability: Items available for loan: AUIS Main (1). Location(s): DS79.76 .H652 2008eb. Before the wind / Jim Lynch. Edition: First edition.Material type: Book; Format: print ; Literary form: fiction Publisher: New York : Alfred A. Knopf, 2016.Availability: Items available for loan: AUIS Main (1). Location(s): PS3612.Y542. B44 2016. Material type: Book; Format: print ; Literary form: not fiction Publisher: New York : Alfred A. Knopf, 2006Online Access: Contributor biographical information | Publisher description | Sample text Availability: Items available for loan: AUIS Main (2). Location(s): PS3563.O8749 B4 2006. Beyond good and evil / Friedrich Nietzsche. Material type: Book; Format: print ; Literary form: not fiction Publisher: San Bernardino, CA : Millennium Publications, Availability: Items available for loan: AUIS Main (1). Location(s): B3313.J42 .E5 2014b. Big as life : stories about men / Rand Richards Cooper. Billy Lynn's long halftime walk / Ben Fountain. Edition: 1st ed.Material type: Book; Format: print ; Literary form: novel Publisher: New York : Ecco, c2012Online Access: Contributor biographical information Connect now | Publisher description Connect now Availability: Items available for loan: AUIS Main (1). Location(s): PS3606.O844 B55 2012. Black boy; a record of childhood and youth. Material type: Book; Format: print ; Nature of contents: ; Literary form: not fiction Publisher: New York, Harper & Row Availability: Items available for loan: AUIS Main (1). Location(s): PS3545.R815 Z5 . Black water rising / Attica Locke. Material type: Book; Format: print ; Literary form: novel Publisher: London : Serpent's Tail, 2010Availability: Items available for loan: AUIS Main (1). Location(s): PS3612.O247 B57 2010. Bleak House / Charles Dickens. Material type: Book; Format: print ; Literary form: fiction Publisher: Ware : Wordsworth Editions Ltd., 1993Availability: Items available for loan: AUIS Main (1). Location(s): PR4556.A2 1993. Blood oil : tyrants, violence, and the rules that run the world / Leif Wenar. Material type: Book; Format: print ; Literary form: not fiction Publisher: Oxford ; Oxford University Press, Availability: Items available for loan: AUIS Main (1). Location(s): HD9560.5 .W46 2016. Blood sins / Kay Hooper. Material type: Book; Format: print ; Literary form: fiction Publisher: New York : Bantam Books, c2008Online Access: Contributor biographical information | Publisher description | Sample text Availability: Items available for loan: AUIS Main (1). Location(s): PS3558.O587 B59 2008. Material type: Book; Format: print ; Literary form: novel Publisher: London : Orion, �2012Availability: Items available for loan: AUIS Main (1). Location(s): PS3568.O5398. Blow the house down : a novel / Robert Baer. Edition: 1st ed.Material type: Book; Format: print ; Literary form: fiction Publisher: New York : Crown Publishers, c2006Online Access: Contributor biographical information | Publisher description | Sample text Availability: Items available for loan: AUIS Main (1). Location(s): PS3602.A38 B58 2006. Blue Mars / Kim Stanley Robinson. 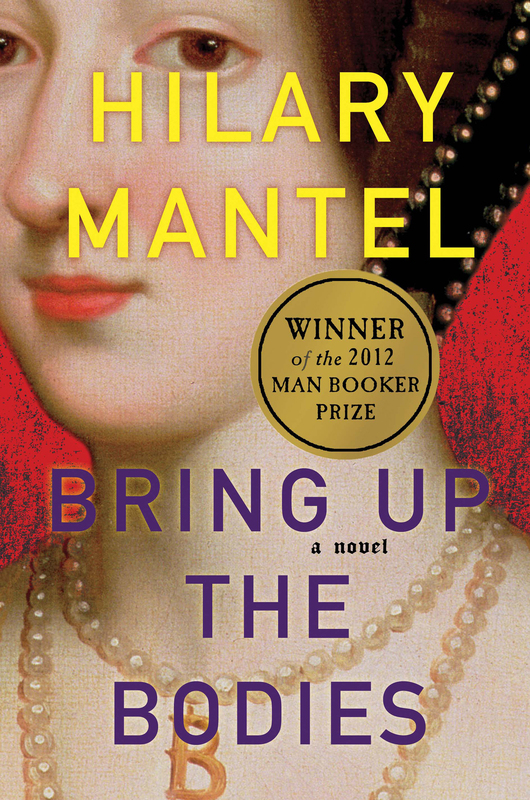 Material type: Book; Format: print ; Literary form: fiction ; Audience: General; Publisher: London : HarperVoyager : [distributor] HarperCollins Distribution Services, 2009Availability: Items available for loan: AUIS Main (1). Location(s): PS3568.O294. Blue nights / Joan Didion. Edition: 1st ed.Material type: Book; Format: print ; Nature of contents: ; Literary form: not fiction Publisher: New York : Alfred A. Knopf : Distributed by Random House, 2011Availability: Items available for loan: AUIS Main (1). Location(s): PS3554.I33 Z46 2011. Brave new world : and, Brave new world revisited / Aldous Huxley ; foreword by Christopher Hitchens. by Huxley, Aldous; Huxley, Aldous. Edition: 1st ed.Material type: Book; Format: print ; Literary form: fiction Publisher: New York : HarperCollins, Availability: Items available for loan: AUIS Main (1). Location(s): PR6015.U9 B65 2004. Edition: 1st ed.Material type: Book; Format: print ; Literary form: fiction Publisher: Franklin Center, Pa. : Franklin Library, 1994Availability: Items available for loan: AUIS Main (1). Location(s): PS3571.P4 B48 1994b. Breaking dawn / Stephenie Meyer. Edition: 1st ed.Material type: Book; Format: print ; Literary form: fiction ; Audience: Adolescent; Publisher: New York : Little, Brown and Co., c2008Availability: Items available for loan: AUIS Main (3). Location(s): PZ7.M5717515 2008. Edition: 1st trade ed.Material type: Book; Format: print ; Literary form: fiction Publisher: New York : Knopf, 1988Online Access: Sample text | Publisher description Availability: Items available for loan: AUIS Main (1). Location(s): PS3570.Y45 B74 1988. Brida / Paulo Coelho ; translated from the Portuguese by Margaret Jull Costa. Material type: Book; Format: print ; Literary form: novel Publisher: Pymble, NSW : HarperCollins Publishers, 2008Availability: Items available for loan: AUIS Main (1). Location(s): PR9706.O3546 B7513 2008.
by Paterson, Katherine; Diamond, Donna. Material type: Book; Format: print ; Literary form: fiction ; Audience: Juvenile; Publisher: New York : Harper Trophy, 1977Availability: Items available for loan: AUIS Main (2). Location(s): PZ7.P273 1977. Edition: 1st U.S. ed.Material type: Book; Format: print ; Literary form: fiction Publisher: New York : Henry Holt and Co., 2012Online Access: Cover image Availability: Items available for loan: AUIS Main (1). Location(s): PR6063.A438 B75 2012. Burn this : a play / by Lanford Wilson. Material type: Book; Format: print ; Literary form: not fiction Publisher: New York : Noonday Press, �1987Availability: Items available for loan: AUIS Main (1). Location(s): PS3573.I458 B8 1987. By dawn's early light / David Hagberg. Edition: 1st mass market ed.Material type: Book; Format: print ; Literary form: fiction Publisher: New York : Tor, 2004, c2003Availability: Items available for loan: AUIS Main (1). Location(s): PS3558.A3227 B9. Cairo : the city victorious / Max Rodenbeck. Edition: 1st American ed.Material type: Book; Format: print ; Literary form: not fiction Publisher: New York : Knopf, 1999Online Access: Contributor biographical information | Sample text | Publisher description Availability: Items available for loan: AUIS Main (1). Location(s): DT143 .R63 1999. Caliban's war / James Corey. Material type: Book; Format: print ; Literary form: novel Publisher: London : Orbit, 2012Availability: Items available for loan: AUIS Main (1). Location(s): PS3568.O294. Casting the runes, and other ghost stories / M.R. James ; edited with an introduction and notes by Michael Cox. by James, M. R. (Montague Rhodes); Cox, Michael. Material type: Book; Format: print ; Literary form: fiction Publisher: Oxford [Oxfordshire] ; New York : Oxford University Press, 1998Availability: Items available for loan: AUIS Main (1). Location(s): PR6019.A565 A6 1998. Edition: 1st ed.Material type: Book; Format: print ; Literary form: fiction ; Audience: Adolescent; Publisher: New York : Scholastic Press, 2009Availability: Items available for loan: AUIS Main (1). Location(s): PZ7.C6837 . Chambers dictionary of idioms / compl. Penny Hands. Material type: Book; Format: print ; Literary form: not fiction Publisher: �Istanbul : Best Publishing, 1996Availability: Items available for loan: AUIS Main (1). Location(s): PE1464 .C43 1996. Change of heart : a novel / Jodi Picoult. Edition: 1st Washington Square Press trade pbk. ed.Material type: Book; Format: print ; Literary form: novel Publisher: New York : Washington Square Press, 2008Availability: Items available for loan: AUIS Main (1). Location(s): PS3566.I372 C47 2008. Chasing bohemia : a year of living recklessly in Rio de Janeiro / Carmen Michael. Material type: Book; Format: print ; Literary form: not fiction Publisher: Carlton North, Vic. : Scribe Publications, 2007Availability: Items available for loan: AUIS Main (1). Location(s): PQ9697 .M71. Chess story / Stefan Zweig ; translated from the German by Joel Rotenberg ; introduction by Peter Gay. by Zweig, Stefan; Rotenberg, Joel. Material type: Book; Format: print ; Literary form: not fiction Publisher: New York : New York Review Books, c2006Online Access: Publisher description Availability: Items available for loan: AUIS Main (1). Location(s): PT2653.W42 S3513 .